5.45pm for guaranteed UK next day delivery orders, via our trusted couriers; including Saturdays. 4.45pm for orders destined for Republic of Ireland. Who are your Area Sales Managers? – quite simply our guys on the road. At IMEX we pride ourselves on giving the best customer service which is why we have sales managers on the road visiting customer premises. 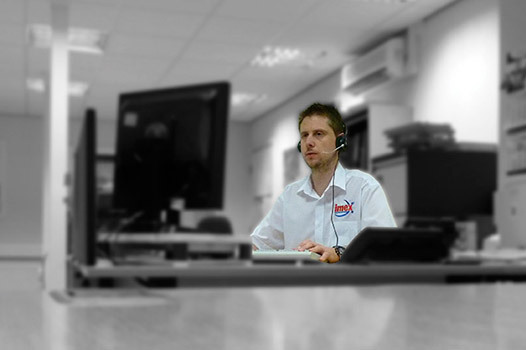 If you would like to meet your area sales manager, call us on 01977 553936 and we can arrange a visit. Can I get FREE Same Day Delivery? – we offer a FREE Same Day Delivery service across most of the UK, up to 4 times a day (to selected postcodes). Giving you a fast and efficient service that you can rely on time and time again! For those customers in areas where same day delivery is not possible, IMEX offer a guaranteed next day service from our trusted couriers, including Saturdays and timed deliveries where possible. Delivery charges apply on all Next Day orders under £175. Find out if you can receive free delivery here. What is your delivery schedule for my area? – Find out when you can receive your next delivery here. When are your opening times? – IMEX is open for orders and enquiries from 8am to 6pm. To find the address or the opening times of one of our depots or to get driving directions click here. Are IMEX parts Original Equipment (OE)? – all parts supplied by IMEX are to OE standard. Can I order online? – You can not order online and we’ve done this for a very important reason. We think it’s important that we speak with our customers, to make sure we identify your correct requirements first time, every time! Will you have the part I need?– We have over 20,000 product lines in stock and our parts interpreters know every detail of each and every one of them – give us a call & give IMEX a try! What do you mean by replacement parts?– IMEX supplies replacement parts – all manufacturers names, numbers, symbols and descriptions are used for reference purposes only and do not imply that any Goods and/or Services or part listed are the product of these manufacturers. Do you give a 12 month unlimited mileage guarantee? – in order that you can be confident about the quality of our parts we offer, as standard, a 12-month unlimited mileage guarantee.